The Scryde project includes four Lineage 2 game servers with ratings of x30, x30, x100,x1000 and x1200. This is a reliable project that has been functioning for three years with an average daily online of over a thousand users on each of the servers. Pumping on big ratings is not a difficult task, but gold mining for the hero's strengthening is a boring, long and monotonous task. That's why r33Team offers to buy scryde servers game currency at affordable prices in any quantity. Our teams of professional boosters are nonstop engaged in the accumulation of gold. So we can provide you with any amount. In pharming, no additional utilities are used. Employees earn currency quickly in manual mode due to many years of experience in the game Lineage 2. The acquisition of gold does not threaten your account in any way. G2A and Paypal certificates insure the security in the orders where adena scryde is purchased as well as other services. Payment for services can be made in any convenient way, but the presence of wallets in these payment systems indicates that our company is an official legal entity. The site has been operating on the market for three years and is the leader in providing game services for the game Lineage 2. If you are interested in any of the scryde adena buy servers, please contact our team and ask about the availability of the desired amount. We never sell currency if the required quantity is not available. 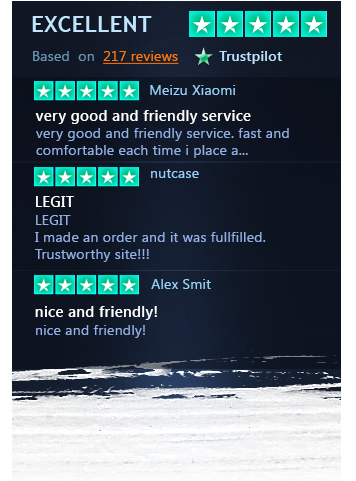 The site is famous for the speed of delivery (5-15 minutes from the time when order was placed) as well as our reputation says for itself. The price for adena service scryde is set below the standard market price and moreover we are also ready to offer you the additional discount. The administration of the r33Team site places emphasis on communication with the client base. We are always ready to help you with any issues. In addition to the order for scryde high-five adena and other servers, the site also provides other services. Feel free to ask for any help related to the game process, passage of quests etc. All services are provided at a reasonable price. On scryde servers there is always a high online and pleasant fan, which are strongly supported by the r33Team.